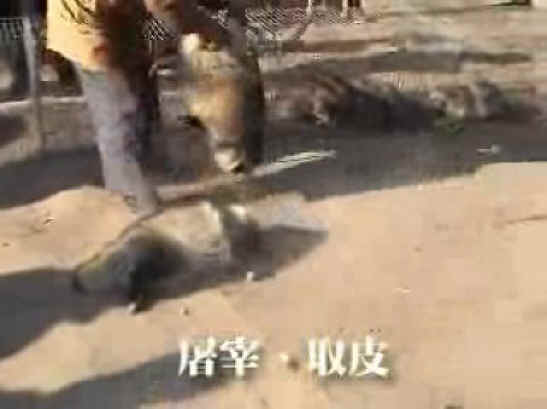 (Raccoon Dogs - Fur - 05) Once again this man grabs the struggling and screaming raccoon dog by both hind leg in preparation for slamming him or her to the ground. 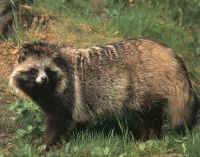 All of this is being done in plain view of the other terrified raccoon dogs. Such acts of cruelty are an abomination before God.